Hi folks! As some of the more eagle-eyed amongst you might have noticed, last week we updated our official release schedule page to add a provisional schedule for our line-up across the second quarter of the year. Now that the information is out in the open, let’s take some time to explore some of the highlights of our plans between April and June! – All release dates are subject to change due to a variety of factors. We’ve tried to be as conservative and realistic as possible with the dates that we’re setting for titles in 2018 to avoid disappointment, but factors beyond our control can still cause releases to slip for unforeseen reasons. – While this is our provisional line-up for Q2, it certainly isn’t our final line-up – there are a number of other titles that haven’t yet been confirmed or dated, simply because we want to make sure they’re 100% locked in and likely to hit those release dates before we unveil them. In short, stay tuned as we’re likely to have some very exciting additions to the quarter that we’ll be talking about over the coming months. – Images shown in the post are not final cover designs – these are merely placeholders until finalised, approved designs are available. 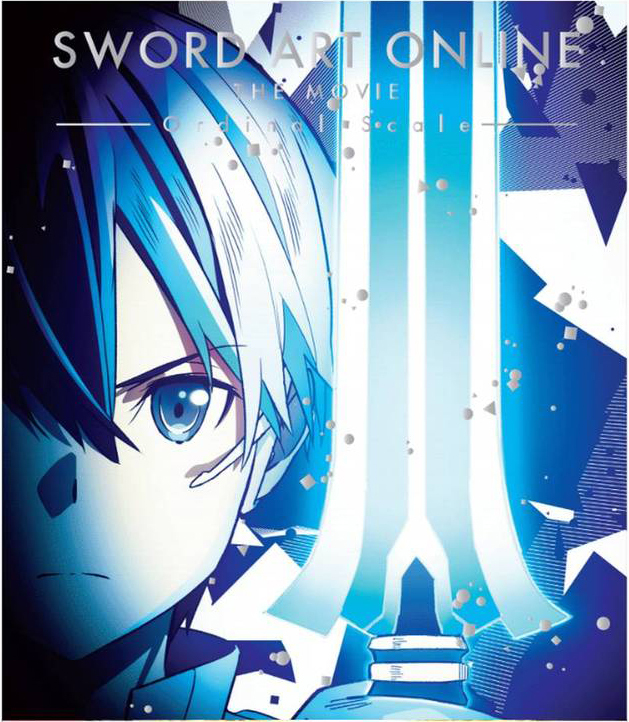 Following on from its successful release in cinemas across the UK last year, from May 28th you’ll finally be able to own Sword Art Online: Ordinal Scale on DVD and Blu-ray to view in the comfort of your own home. And yes, before you ask it is uncensored. We’re still in the stages of confirming exactly what we’ll be able to include within our release, but expected a Blu-ray+DVD Limited Collector’s Edition alongside regular DVD and Blu-ray editions of the film. 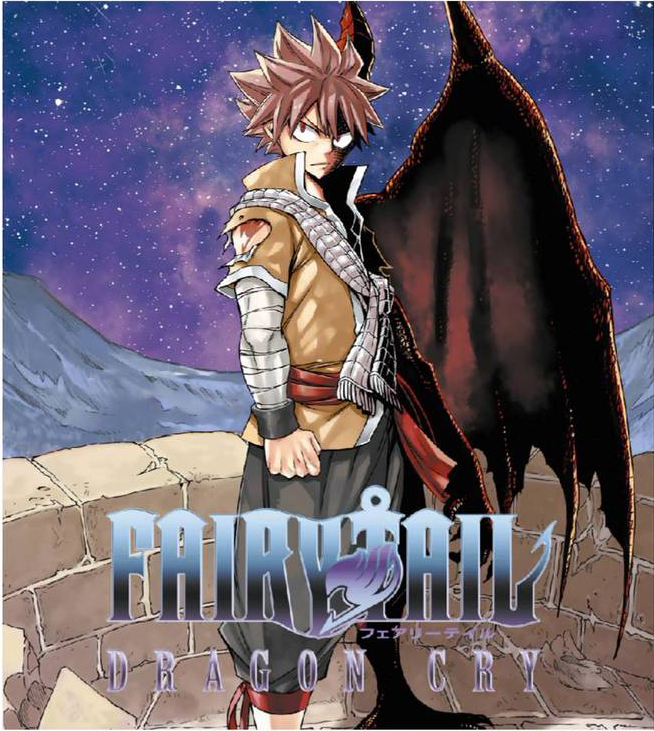 In a similar vein, another of our theatrical releases from 2017 is getting a home video release in 2018, as Fairy Tail: Dragon Cry arrives on 23rd April. Much like Sword Art Online, we’re still finalising the exact contents of our UK release of the film, but we can tell you to expect a Shop Exclusive extra for a select few people who wants to purchase the film’s Limited Collector’s Edition from our own online store – stay tuned for more on that closer to release! “In Fairy Tail: Dragon Cry, in the Kingdom of Fiore lies a terrible weapon. Enter the Dragon Cry, a magical staff rumored to possess power capable of destroying the world. For years, it’s been safely guarded and kept away from those tempted by its power. But everything changes when a traitor named Zash manages to steal it away. Now, in the hands of Animus—the cruel ruler of the Kingdom of Stella—a plot begins to form with the fate of the world at their mercy. Last May, we announced at MCM London Comic Con that we’d be bringing the Studio BONES classic Wolf’s Rain back to the UK – as a show we all love here in the Anime Limited office we wanted to do it justice and make the best use of the materials available to us, and we’re now happy to report that we’ve managed to create a stunning Ultimate Edition set that we’ll be offering up to you on 25th June. We’ll be revealing more about this Ultimate Edition offering in due course, but expect something similar to our recent Eureka Seven Ultimate Edition, complete with a fantastic artbook compiling all manner of imagery from the series as well as some wonderful posters that capture some truly beautiful artwork created to promote the series. We can’t wait to show you more of this edition closer to its release, so stay tuned! “Paradise – a legend, a myth, and a hopeless dream in a world that has become a wasteland. It is not meant for everyone, only the wolves, thought to be extinct yet still roam the lands. When the Flower Maiden awakens, the path to the end will open. It was one of the biggest TV anime hits of 2016, and later this year we’re thrilled to be bringing the first half of Re:Zero -Starting Life in Another World- to the UK on home video! 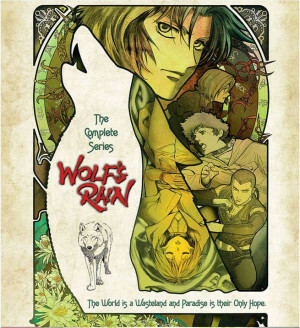 Needless to say, we’re planning a Blu-ray Limited Collector’s Edition release of the series to show off the fantastic world and characters from the series, and we’re also working on seeing if we can offer customers at our shop some very cool additions to the release into the bargain, so fingers crossed they come to fruition! 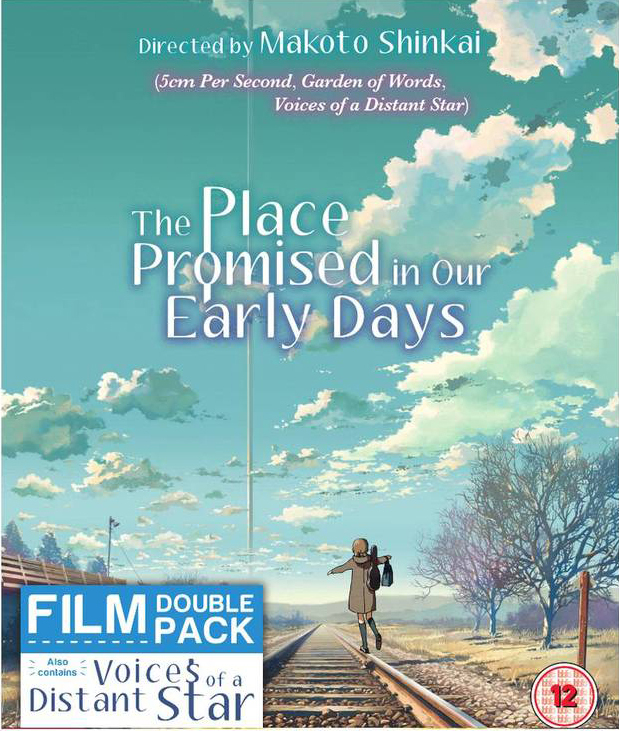 It’s no surprise that the works of Makoto Shinkai have been in great demand since the stellar success of Your Name, leaving our Limited Collector’s Edition Makoto Shinkai Twin-Pack containing Voices of a Distant Star and The Place Promised in our Early Days out of print. Of course, neither of these works deserved to be left unwatched, and thus on 9th April we’ll be releasing Standard Edition Blu-ray and DVD editions of this twin-pack so that you can enjoy these early Shinkai works in your own home once again. There’s plenty more we could talk about here – Hyouka – Part 2 will arrive during the second quarter complete with an art book, Tokyo Ghoul‘s live-action outing will also appear on home video, and another of our theatrical properties is set to arrive on DVD and Blu-ray in the form of Lu Over the Wall. Meanwhile, Kiss Him Not Me will arrive in the UK in standard edition form, while we’ll be ensuring you can complete your collection of Persona 3 movies as Standard Editions too. Last but not least, Assassination Classroom Season 2 Part 2 is set to arrive, bringing Koro-sensei’s story to a close. As mentioned earlier, you can keep tabs on our full release schedule on this page of our web site, and we’ll be keeping you updated on our more comprehensive plans for each of these titles over the coming months. For now though, be sure to let us know what you’re looking forward to over the second quarter of 2018! 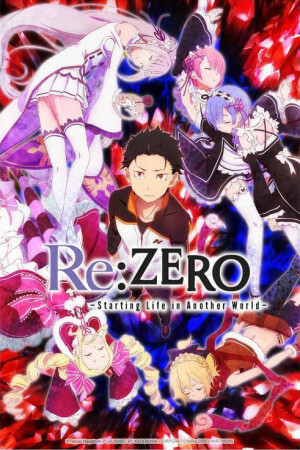 Re: Zero is popular enough that I doubt you would struggle to sell a special collectors release. You know something a bit more than usual for CE boxsets in the UK. I’d be interested in it. Been waiting on SAO!!! Thank you ATA! !